Sidney Good injured the back of her head and broke multiple vertebrae. Her brain trauma left her with permanent double vision and no peripheral vision. She says that the last thing that she remembers is people on the balcony of the apartment building reaching out for her before she struck the building and blacked out. The Miami Herald reports that Alexis Fairchild suffered a skull fracture, which resulted in a serious brain injury. She has undergone multiple brain surgeries and lost a large portion of her skull. Although doctors warned her that she would never walk again, she is now able to walk normally six months later. Since the accident, she has had to relearn how to brush her teeth and how to read. If you or a loved one have sustained life-altering injuries in an accident that was caused by the negligence of a company or an individual, we can help you find justice through a personal-injury lawsuit. At Wolfson Law Firm, LLP, we would be delighted to serve as your personal-injury attorney in Miami. To receive a free case evaluation, Call Us At 305-285-1115 Today! WMMB News reports that the Fairchilds filed a lawsuit against Treasure Island and Aquatic Adventures. They say that they are less motivated by compensation than by affecting change in the industry. After the accident, the parents discovered that parasailing is not regulated in Florida, which allowed the company to operate in unsafe conditions and use improper equipment. 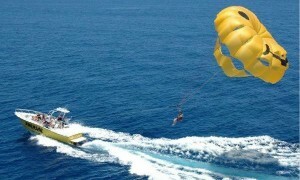 They hope that the lawsuit will result in safer operating guidelines for the parasailing industry. If, like Alexis and her parents, you are ready to stand up and make a change that could prevent an accident that is similar to yours, we can help. We will stand with you and protect your rights in court to help you find the compensation and the change that you seek. To learn more about our firm, Call Us At 305-285-1115 Today!